In 1688 essayist Josef de la Vega described finance as both "the fairest and most deceitful business...the noblest and the most infamous in the world, the finest and most vulgar on earth." The characterization of finance as deceitful, infamous, and vulgar still rings true today - particularly in the wake of the 2008 financial crisis. But what happened to the fairest, noblest, and finest profession that de la Vega saw? De la Vega hit on an essential truth that has been forgotten: Finance can be just as principled, life-affirming, and worthy as it can be fraught with questionable practices. Today finance is shrouded in mystery for outsiders, while many insiders are uneasy with the disrepute of their profession. How can finance become more accessible and also recover its nobility? Harvard Business School professor Mihir Desai, in his last lecture to the graduating Harvard MBA class of 2015, took up the cause of restoring humanity to finance. With incisive wit and irony, his lecture drew upon a rich knowledge of literature, film, history, and philosophy to explain the inner workings of finance in a manner that has never been seen before. This book captures Desai's lucid exploration of the ideas of finance as seen through the unusual prism of the humanities. Through this novel, creative approach, Desai shows that outsiders can access the underlying ideas easily and that insiders can reacquaint themselves with the core humanity of their profession. 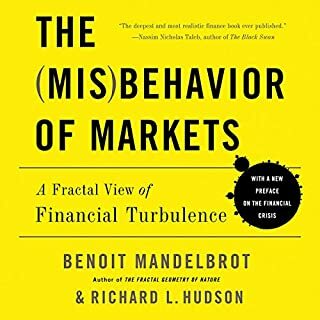 The mix of finance and the humanities creates unusual pairings: Jane Austen and Anthony Trollope are guides to risk management; Jeff Koons becomes an advocate of leverage; and Mel Brooks' The Producers teaches us about fiduciary responsibility. In Desai's vision, the principles of finance also provide answers to critical questions in our lives. 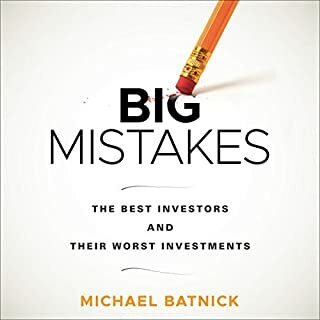 Among many surprising parallels, bankruptcy teaches us how to react to failure, the lessons of mergers apply to marriages, and the capital asset pricing model demonstrates the true value of relationships. The Wisdom of Finance is a wholly unique book offering a refreshing new perspective on one of the world's most complex and misunderstood professions. 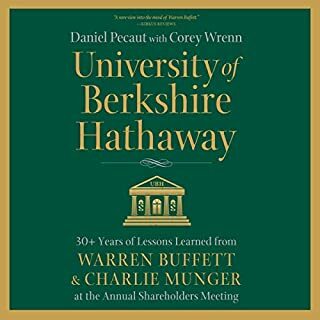 ©2017 Mihir Desai (P)2017 Blackstone Audio, Inc. 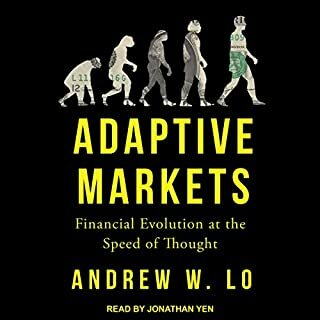 This book shows us finance and risk-reward thinking as a world-view, mixed seamlessly into the regular events of our lives (and some of our favorite popular stories). It is about making smart and principled decisions in one's life, at any stage (though plenty is geared here to college students, but it is no hindrance, because the underlying principles are universal). This thinking already predominates in my mind, but it is great to walk through it with a professor who richly "gets it." There are all sorts of regular person calculations that will gain a new clarity and extra dimension to those who haven't crossed this bridge before. I was afraid, being a person who basically hasn't watched television or consumed contemporary music for 20 years, sees less than one current-run movie per year, and avoids most pop culture like the plague, I would stumble on the pop culture references, especially recent ones. I needn't have worried -- the author-narrator explains everything well. A spoonful of colorful and accessible storytelling makes the finance go down well! Incredible piece of literature that interweaves the concepts of finance with the stories of our everyday lives. Professor Desai has a wonderfully fluid style that engages the reader with his fresh (and deep) understanding of philosophy, art, literature and pop culture. I look forward to Desai's writings; he remains among my favorite professors when I attended Harvard. Interesting to take life lessons from the lens of finance perspective. I guess that when you are good in any subject, you can apply the principles to many other seemingly different topics. 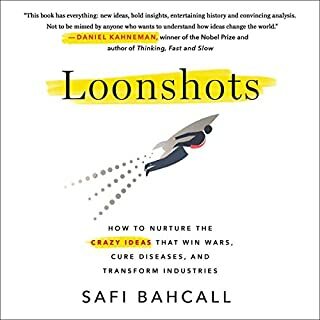 I loved the book, I picked it up after hearing the author in the HBR idea-cast. The topic is very inclusive and relate-able. I would highly recommend reading this book to give you a holistic perspective on life and finance. What more do you need to know? A remarkable book that is both intellectually satisfying and entertaining. 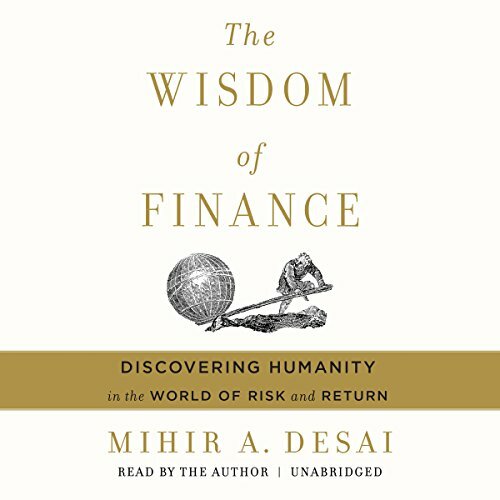 Mihir Desai does an admirable job of convincing the listener that the rich tapestry of life is mirrored and in part explained by the fundamental tenets of finance. Having forced myself through more traditional finance textbooks for my own MBA studies I have to admit Prof Desai’s approach would have undoubtedly made that journey a lot easier and interesting! I tip my hat. What would have made The Wisdom of Finance better? I appreciate what Mr. Desai is trying to do here - provide context and moral compass for financial professionals and those working in the industry. And in this sense he succeeds admirably and I think those in the financial sector would really benefit from the Wisdom of Finance. However, readers looking for deep, surprising or unique insights on par with the world's great poets, authors or sages should look else where. Performance was a bit robotic and awkward at times. I bought this book because my son recently entered the world of finance and I did not understand his facination. I did not expect I would receive any profound insights thankfully I was wrong. The author brings to light the basics and huminizes the relationship of business money and life. The paralels of literature, plays, movies and historical references made the information easier to assimilate. I enjoyed it from start to finish! 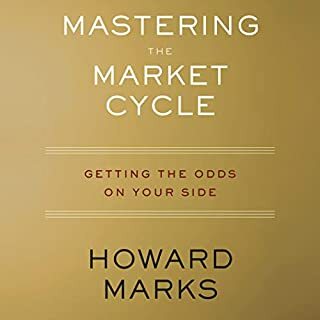 This is a great book (read the print version) but don’t get this audiobook unless the quality is improved — there is a terrible echo.